Rural homes with a river view, now in the Tigris River. Photo by Dr. Haitham Abdulrazzaq. There has been so much rain in Iraq this year. Every time the rain begins to fall, fear rises. 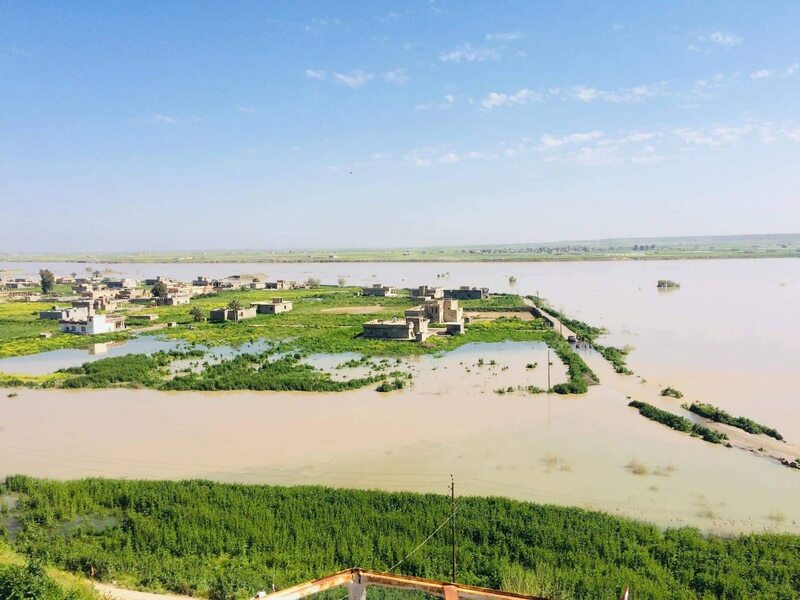 Record levels have spilled over the banks of the Tigris River, flooding a diagonal swath through the center of the country—causing damage and risk from the Mosul Dam in the north, to flooded farmers’ fields in Basra in the south. 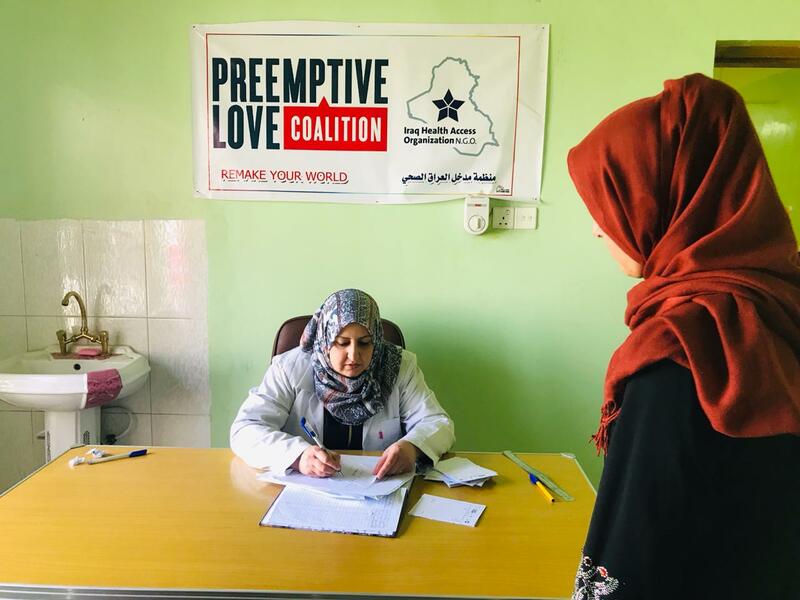 In communities in the center of the country, bisected by the Tigris River, you are helping doctors practice a powerful form of medicine, rooted in compassion and love. The medical team sees patients, regardless of the weather. Photos by Dr. Haitham Abdulrazzaq. The medical teams who work in our primary health centers–who began to see patients as soon as the area was liberated from ISIS–choose to work in difficult circumstances. They could have chosen to work in large city hospitals, where life is much easier. Instead, they chose to practice community-based medicine in areas that are often difficult to reach, where life is uncomfortable. They know their patients. So when flood waters threatened their communities, they had a choice to make again: how to respond to their patients? How could they best serve those whose houses were already under water? How could they best serve those making the hard decision between evacuating and staying? A visit to threatened villages provided care for remote patients. Photos by Dr. Haitham Abdulrazzaq. “The families were on standby and prepared their supplies in case they were forced to evacuate,” Dr. Haitham Abdulrazzaq reported. There was a constant watch on water levels, and hour-by-hour families reevaluated their situations. “The team in the area visited nearby homes that could be threatened by flooding and treated some of the sick.” The medical team didn’t wait for the flood to take its course, and then respond—they offered continual care in the best way to serve their community. When evacuation orders came, they visited affected areas to make sure that those in most danger were cared for. They checked in with patients living with chronic diseases to make sure they had what they needed during the crisis. And they ensured that those with injuries that could become infected over the course of the crisis got the care they needed so small issues didn’t grow into life-threatening conditions. Rain clouds over the Tigris River, and medical teams stay to help. Photo by Dr. Haitham Abdulrazzaq. The medical team made the choice to stay throughout the flooding, providing care for those who stayed rather than evacuating. As the water levels rose, then fell, then rose again, they continued to be a steady presence in the community. 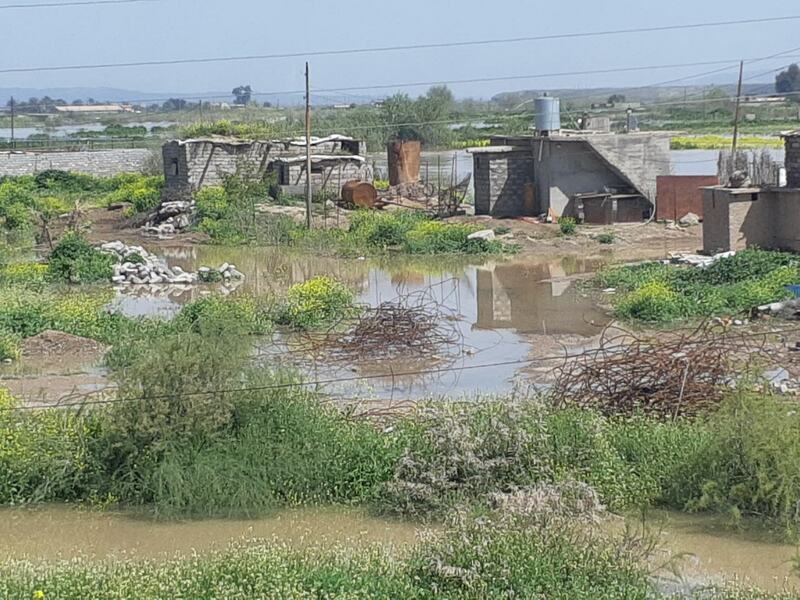 Flood waters spilled over the banks of the Tigris River, flooding homes and farms. Photo by Dr. Haitham Abdulrazzaq. If you’ve experienced flooding in your own community, you know how traumatic it can be. Making the decision to evacuate or to stay can be agonizing. On one hand, you want your family to be safe, and on the other, you want the chance to protect your property if at all possible. Such is the case with Iraqi families. Property insurance doesn’t exist here, so families bear the cost themselves when they lose everything. The prospect of loss is even more difficult for those families who were already displaced once because of war—who already lost everything they owned. 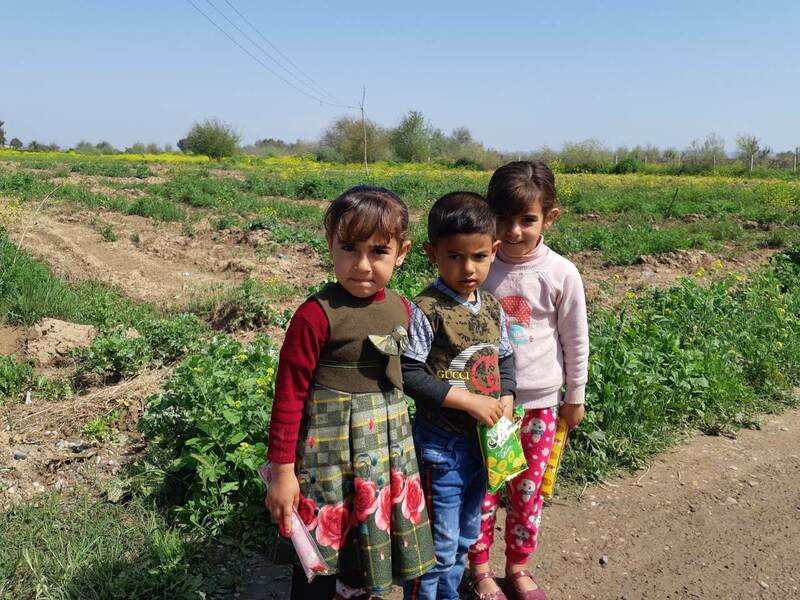 Many of the families in these communities haven’t come close to recovering from the losses suffered during the war with ISIS. The very presence of the medical teams through this time was a powerful symbol, showing their patients and their families that they aren’t in this alone. Early sign of community health: open businesses. Photo by Dr. Haitham Abdulrazzaq. One of the first photos the medical team sent through when the worst of the most recent flood risk subsided were photos of businesses that reopened immediately after the evacuation orders ended. Because the medical team stayed, people less at risk could stay home and protect their property. Because the medical team stayed, those who needed to evacuate could return home immediately and begin repairing the damage. The doctors, nurses, lab technicians, and support staff made what could have been an extremely traumatic experience, manageable. And with your support, they are prepared to do it again. Give now and allow doctors to continue to offer critical medical care to families in need.